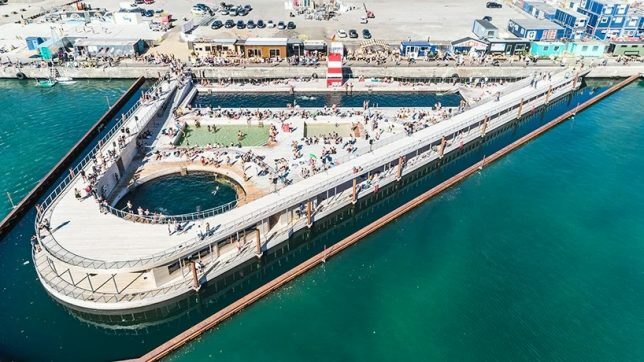 Now open on the edge of Aarhus, Denmark’s second-largest city, the Harbor Bath project features a main 150-foot-long pool as well as diving and children’s pools, plus a pair of saunas. 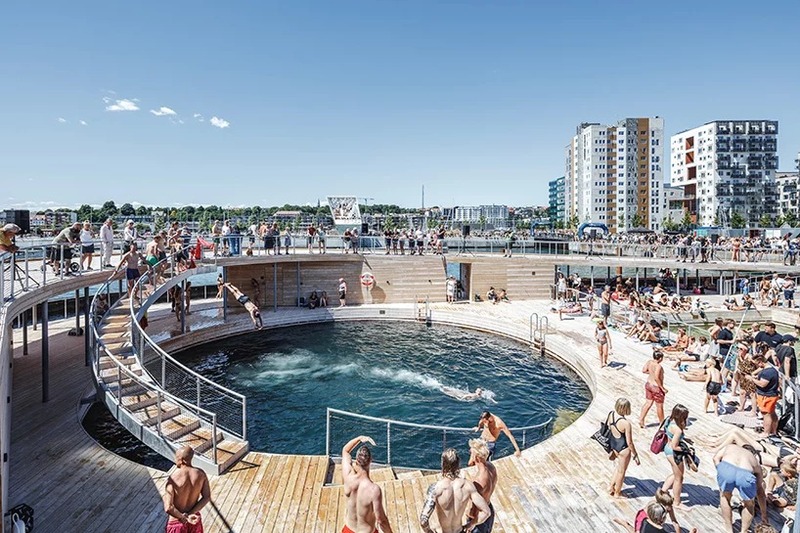 Naturally, the water is drawn directly in from the surroundings. 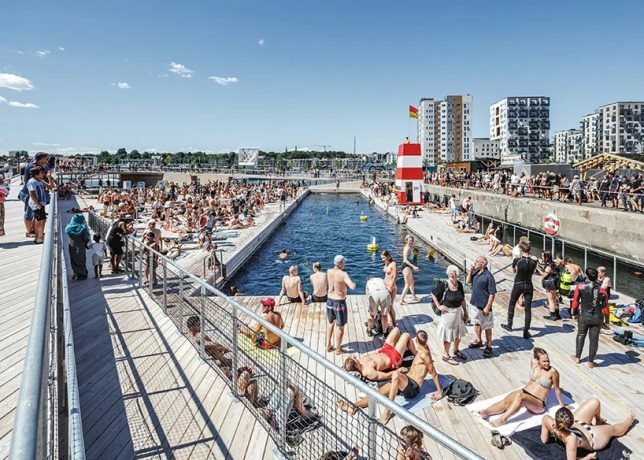 Designed by architects from Bjarke Ingels Group (BIG) — images by Rasmus Hjortshøj — the complex can support up to 650 bathers at one time. 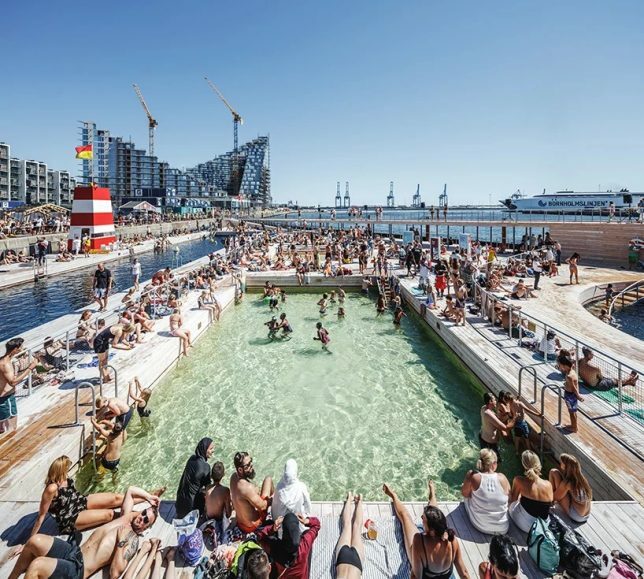 Various pool sizes are elegantly integrating into the tapering form, creating poolside areas as well as swimming and lounging spaces. 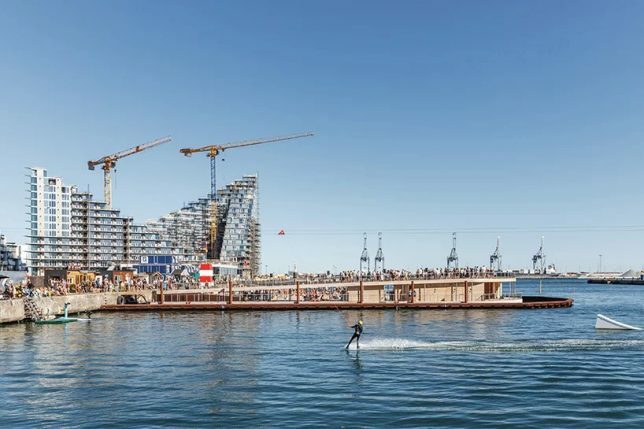 Essentially a fake floating island, the structure is further supported by an array of beach volleyball courts, cafes and bars along the adjacent edge of the city. 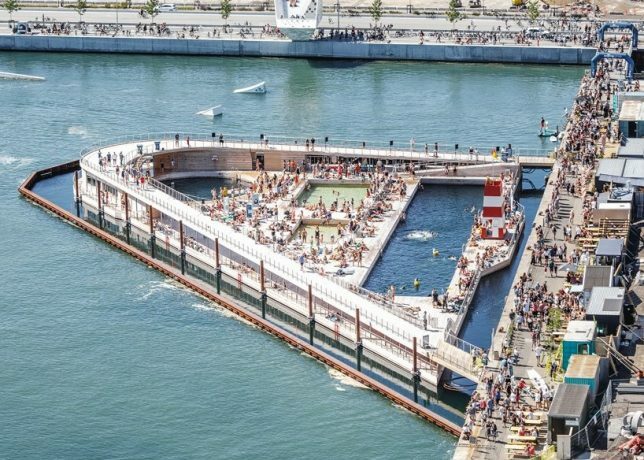 Future plans call for theaters, hotels, restaurants, shops and more to be developed in the area, making this project a seed or generator of sorts for nearby activity, open all day every day through the summer.